Hi there! 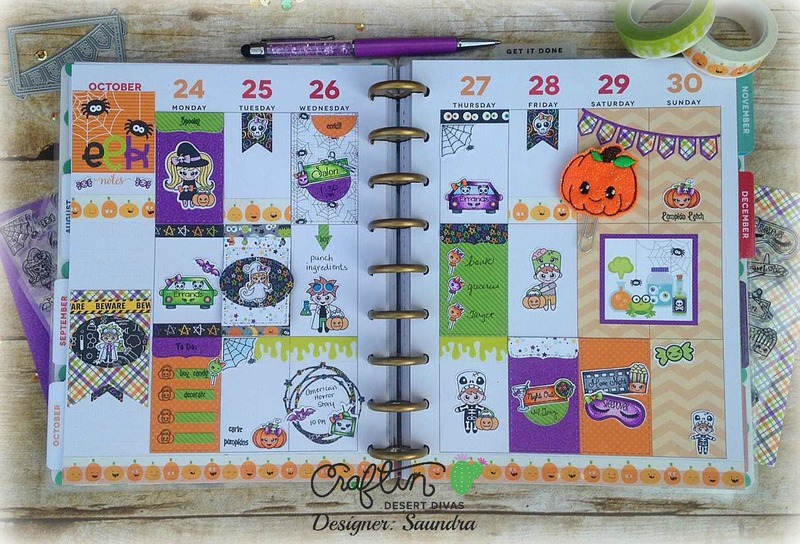 Saundra here to share a little spooky cute planner spread with you today. 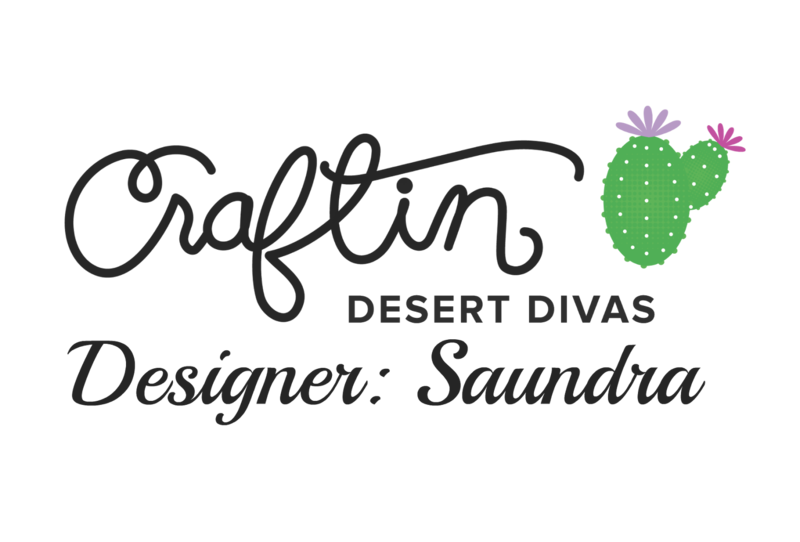 I love all the fun products that you can find in the Craftin Desert Divas shop. 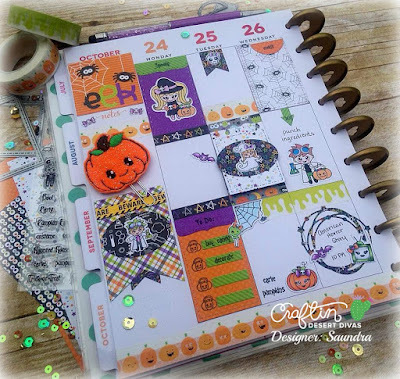 The planner stamps and dies make it easy to create a spooky cute spread! 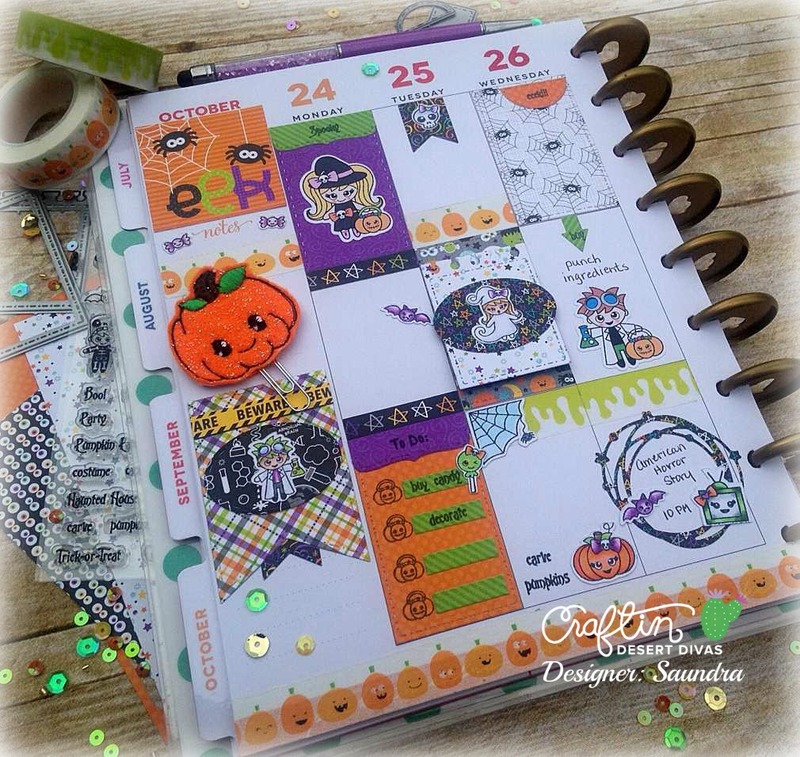 I used the Doodlebug papers throughout along with the Doodlebug Washi to give the spread a nice cohesive look. Isn't the planner clip super adorbs!! I love it! Adding all the images was super easy, too. I was able to use the svgs that coordinate with the stamps. I stamped them on to the cut pieces using my Misti tool and colored them with Copic markers. All of the products are listed at the end. 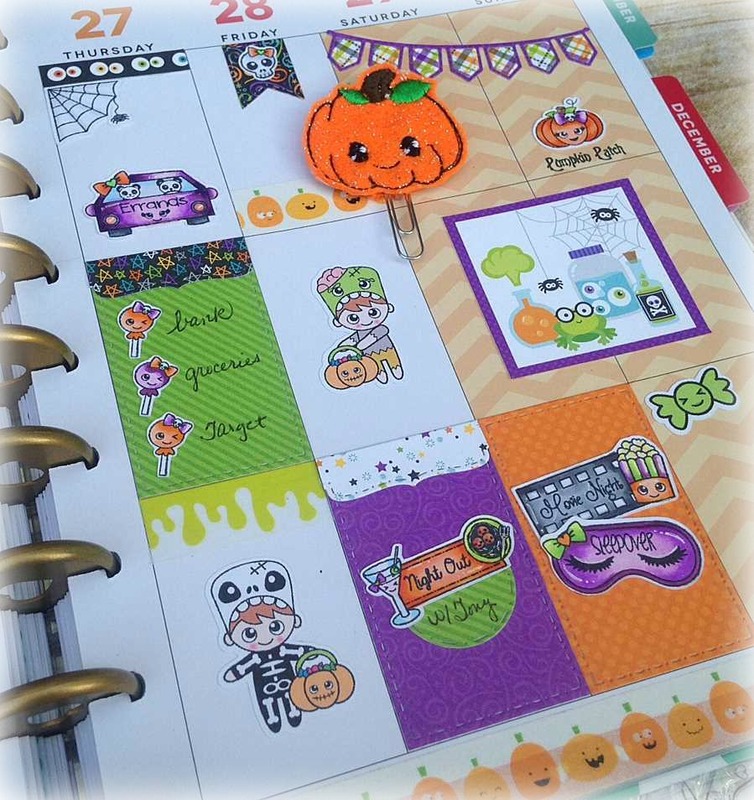 I hope this helps you get into the Halloween crafty mood! Please be sure to share your CDD projects in the CDD Facebook Gallery. We would love to see them! !